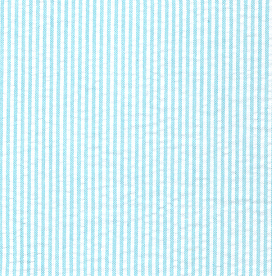 Aqua Seersucker Fabric: Striped. 100% cotton seersucker. 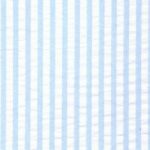 1/16″ stripe width. 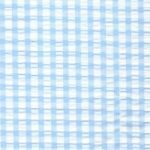 This fabric will be a perfect fit for your summer outfits: our designers have used it for dresses, bow-ties, and even wedding suits. See below for more sizes and options.